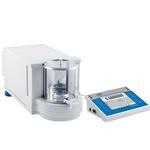 ScalesGalore offers our customers the widest variety of extremely accurate and reliable Analytical and Laboratory Scales. These scales are available with external or internal calibration, built in RS-232 to allow connectivity to computers or printers and stability filters to compensate for temperature, drafts, or vibration changes. more ..
Our selection includes both electronic and mechanical balances, designed for anywhere where tight precision is a must. Majority of Universities, research centers, laboratories, pharmacies even hospitals use these scales for research and development purposes, to weigh medical / pharmaceutical supplies and laboratory equipment, relying on us for the most accurate and trusted results. 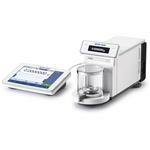 With the ability to choose from every major manufacturer including Adam Equipment, AND Weighing, DigiWeigh, Ohaus, Sartorius and WeighSouth finding the perfect Analytical Laboratory Scale will be fast and easy! Even with the popular Ohaus New Explorer Series, AND Weighing GR Series and Sartorius Entris Series, you can be sure you're getting the utmost in quality and features for your budget. 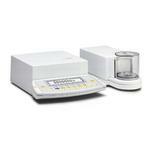 We put together a selection of High Capacity Precision Balances. 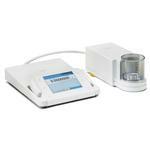 The list High Capacity Precision Scales we put together are from 10 kg Capacity and no more that 1 g Readability.